Even the hardiest of roofs are prone to a bit of wear and tear. Luckily, we know exactly how to help. 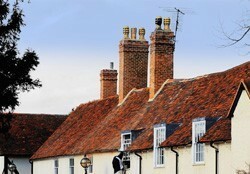 If you're in a fix with your slate roof, give our roofers a call today and ask for a free quote. We're sure to provide the best service in Glasgow, but for peace of mind we offer an extensive guarantee with each and every slate roofing job. When you hire our roofers, you get a team of friendly, reliable, professional roofers with plenty of experience in the roofing trade in the Glasgow area. Whether you need small repairs or an entire slate roofing installation, we are up to the mark and above! If your slate roofing has been playing up, or your felt roof is at the end of it's tether and you want a fresh start, tell our experts! We'll know exactly what to do, and you can always expect great results from our expert roofing team. We give all of our customers an extensive guarantee on every slate roofing project. There's little we can't do with slate roofing, so have confidence in our roofers to do a great job for you. Above all we value customer satisfaction and good craftsmanship – so don't expect us to burn a hole in your pocket too. Phone your local Glasgow roofers today on 0141 340 9604 and ask the roofing experts for a free, no obligation quote on your slate roofing project. 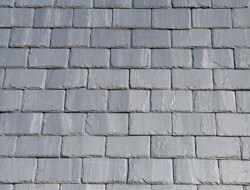 Slate roofs are very popular and once you have seen what we can do you'll understand why!